NorthEast has proven to be one of those teams that don’t stand in the category of underdogs and landing themselves among the top scorers of the league. But they too missed out points from the last 3 matches. Against the best in the leagues, rather than defeating them, NorthEast ended up stuck in a draw against the likes of Kolkata, Bengaluru, and Jamshedpur, thereby giving way to Jamshedpur to 3rd position by one point. This can cost severe especially when they are about to face Goa, who don’t think twice before scoring goals. This can be resolved if Ogbeche starts to score again. The inform striker couldn’t find the back of the net in their last 3 games, all of which they had to settle for a draw. With 8 goals from 11 matches, Ogbeche should be on the scorers’ sheet at Goa. Goa stands 5th on the points table with 17 points from 10 matches. With 5 wins and 2 draws, Goa is still looking for a win to pace up a level above and that’s the reason why Goa has chosen Jackichand Singh to strengthen the midfield. But their stats do imply that Goa managed to garner only one point from their 3 previous outings. This can prove an advantage for NorthEast. NorthEast: Pawan Kumar (GK), Reagan Singh, Mislav Komorski, Mato Grgic, Keegan Pereira, Rowllin Borges, Jose Leudo, Redeem Tlang, Federico Gallego, Lalthathanga Khawlhring, Bartholomew Ogbeche. Goa: Muhammed Nawaz GK), Seriton Fernandes, Mourtada Fall, Muhammed Ali, Mandar Rao Desai, Ahmed Jahouh, Lenny Rodrigues, Hugo Boumous, Edu Bedia, Jackichand Singh, Ferran Corominas. 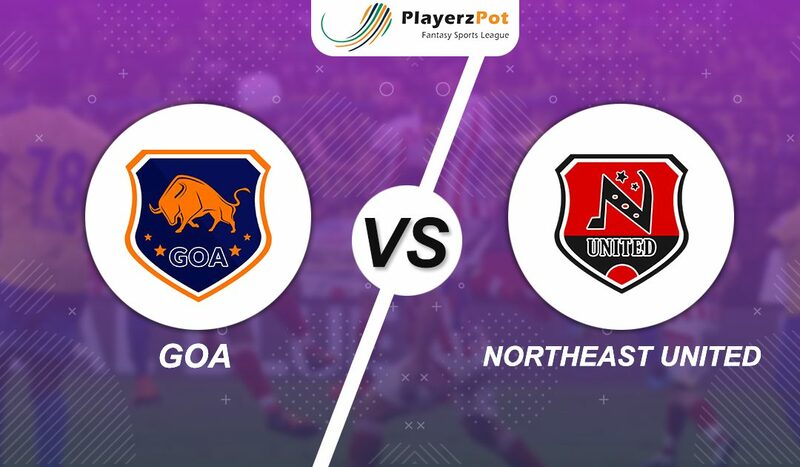 Both the teams require some alterations and they have made some changes as well but NorthEast stands strong and a win can be assured for NorthEast.